Can You Feel The Run Love? Than a new pair of running shoes? All puns aside, we decided to make this post all about love in honor of this weekend’s Valentine’s Day holiday. But not about our love of shoes, watches, gear, etc. This time, we wanted to focus on local runners who found love through running. 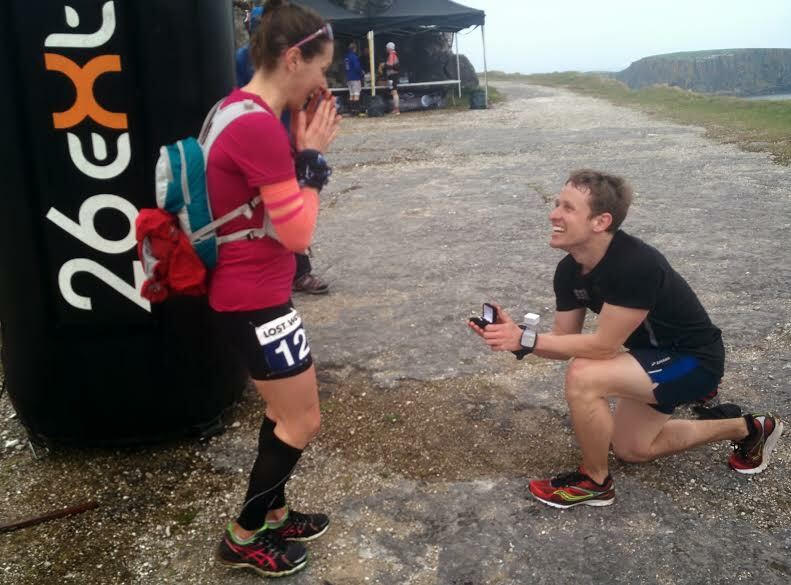 Their stories are super sweet – especially the one about a proposal at a 50k finish line! And note to single runners – it seems running groups are where it’s at for finding your perfect running mate! Fred and I met through the Pavement Gods running group, which is located in the Racine area. I think running brought us closer because we both have a huge passion for it and can talk about it for hours. We also understand the importance of getting training in, and we try to hold each other accountable to get out and run, especially on those days when you just don’t feel like it. Fred and I had our first few dates running together. We got to know each other and he got to start meeting my friends and the people who I train with. I always get nervous introducing my date to my friends, but with running I was able to introduce him without all the pressure and see how easily he could fit in. Because my daughter is with us most nights we don’t get to run together often. When it is nice out we will run some of our easy miles together and push her in the running stroller. We take turns since she is five and she takes a little more effort to push around, even with her being so small. Fred tends to push her more, which helps slow him down to my pace. But we usually find when we do get out for a run we settle into a pace that works for both of us. Once and a while I have to remind him to slow down because he is pushing the pace without realizing it. Fred understands my addiction to racing and that I want to travel just for the medal because I think it looks cool. He also understands when training doesn’t go right or I am injured that it can really change my mood. When I had to take weeks off in April 2015 he would come over every night and keep me company while I had to ice bath my foot. He just gets it. I learned a lot last year about relationships, and all I can say is do what makes you happy. Nothing is worth living a life that doesn’t make want to get out of bed every day! Runners are awesome and even better to have a relationship with! I met Angie at a race where she was being her normal high energy and social self. I saw her bouncing from person to person and I knew I had to know more about her. Over the next few months a friendship grew through running and running clubs until it became more than a friendship. Running is something that we both love and have in common. It allows us to be a big part of each other’s goals and dreams, and I think that’s helped us grow closer. We do run together although maybe not as much as we would like with life getting in the way. Most days, we have to run at different times for both of us to get our runs in, but we work together to make sure we can get our miles in. We run at different paces, but our easy runs are close enough to be comfortable for both of us. Running dates are great because not only are they cheap but they also keep you both in shape. It’s a win win. There are advantages to dating a fellow runner, such as having someone who can share in your success and failures and someone who understands all the work that goes into achieving goals. Also, there’s always something to talk about – and you can share a foam roller! Meeting Angie changed my life in so many fantastic ways. Not only did running help me find a perfect woman, it changed my life. Woot! Matt and I met four years ago through the Milwaukee Running Group. Everyone used to congregate by Collectivo at the lake before and after runs, so we became friends discussing races, craft beer and live music. Running brought us closer together because having a shared interest allowed us to bond over past experiences and make new ones together, too! We were able to relate to each other more and complained about the same things, like bad shoes and being exhausted (haha). Having a significant other who is also a runner is beneficial because we can motivate and inspire each other! My boyfriend challenges me to keep going on days I don’t feel like it. We also celebrate finishes together, which is much more fun when the other has been through the same race. 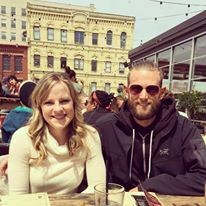 My husband, Mike, and I met on a group run that was hosted by the Milwaukee Running Group/OMG. We were both training for marathons, so we attended a lot of the same group/training runs. During a running date there isn’t the usual pressure that goes along with a normal date. You get to do something you both love while being active. Plus, after you’ve gotten your run in, it’s a great segue to grabbing a beer or, better yet, ice cream. A few months after we started dating, Mike relocated to Madison for work. 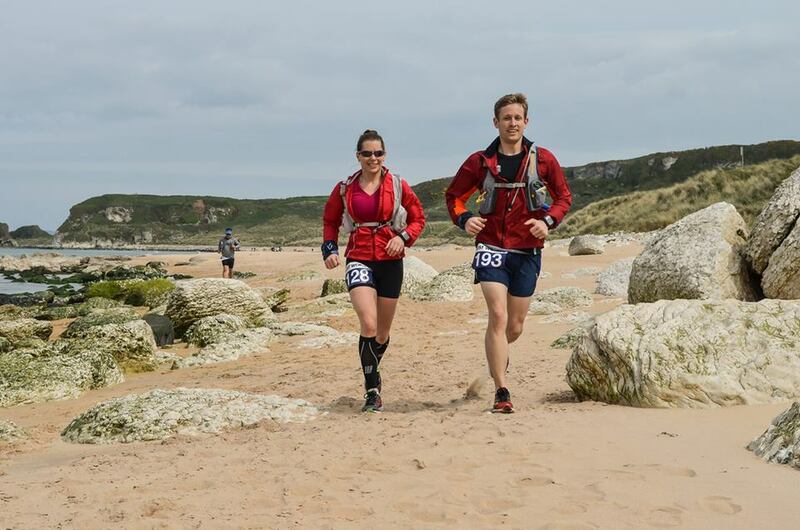 Around the same time, we decided we were going to run a 50k along the northern coastline of Ireland together the following year. Training for the same race was something we could do together, even though we lived in different cities. The terrain and views during the race were spectacular, but I’d have to say the most memorable part of the race was when Mike proposed to me at the finish line! He carried the ring in his Camelback for all 31 miles! Most of our runs are together, either just the two of us or with our local running group. I always say Mike slows down to run with me, and he says I slow down to run with him. We just enjoy running together, so we’ve gradually become similar in pace. I still think he’s faster than me though. We like to run a lot of the same races, from 5ks to 50ks, obstacle races and half iron distance triathlons. We’ve even run a few relays together, like the Door County Fall 50 as a pairs team and we’ll run the Apple Creek 50k as a pairs team in May. Thanks so much to Angie, Fred, Karly and Bridget for sharing their stories. 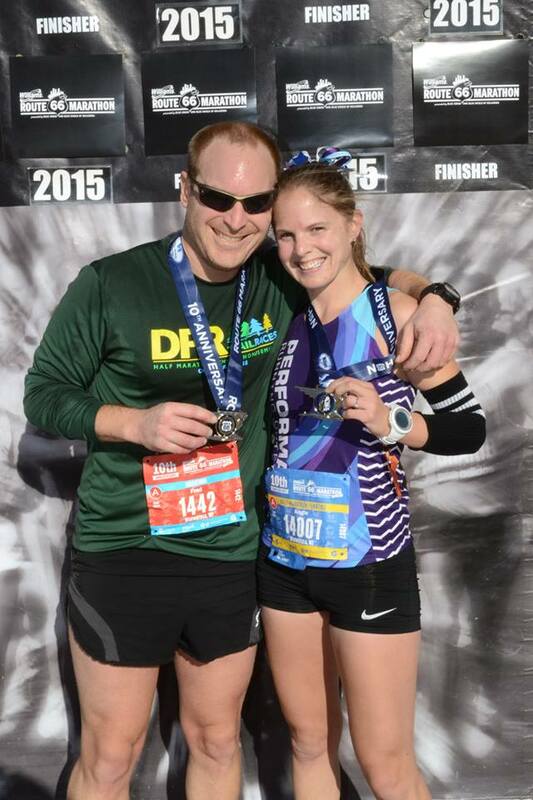 We loved hearing how a love of running helped you find true love. 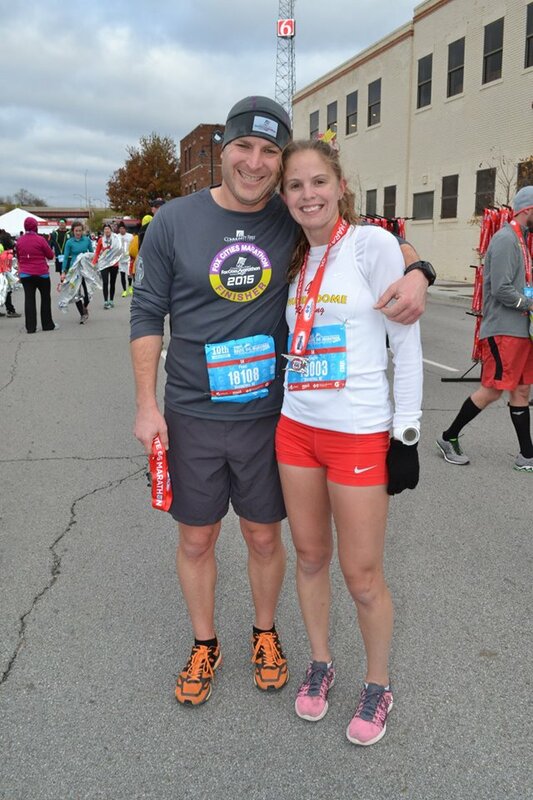 MKE Runners: Have you found love through running? Share your stories in the comments! Coupled or solo, we wish you Run Love during your weekend miles! This entry was posted in MKE Runners and tagged MKE Runners, Run Date, Run Love, Running in MKE. Bookmark the permalink.